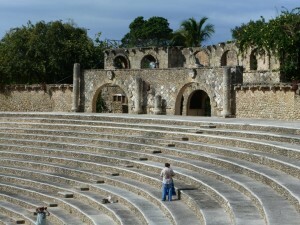 At Casa de Campo it seems that if you can dream it they can build it. Back in 1971 when Pete Dye and his Dominican crew were hired to carve a golf course out of coral rock with primitive sugar cane tools who knew his Teeth of the Dog masterpiece would stand the test of time and still rank as number one in the Caribbean and 42ndworldwide? Fast-forward to 1976 when Casa de Campo’s head honcho and visionary Charles Bluhdorn (credited as being the father of the DR’s tourism industry) decides that Casa de Campo should have a village dedicated to the arts. He hires Italian set designer Roberto Coppa, who had worked with director Federico Fellini, to create a 16th century replica of a Mediterranean village. Once again the Dominicans prove they are up to the task. Masons, carpenters and blacksmiths handcraft each stone, doorframe and artistic detail under Coppa’s direction. The result is an enchanting village and art colony complete with coral cobblestones, towers, turrets, fountains and bougainvillea cascading from wrought iron balconies. In addition to the restaurants, boutiques and art galleries, Altos de Chevan boasts a vibrant Artists in Residence program with international students of fashion, ceramics, photography and more bringing their creations to fruition at the Altos de Chevan School of Design, affiliated with Parsons School of Design in New York. 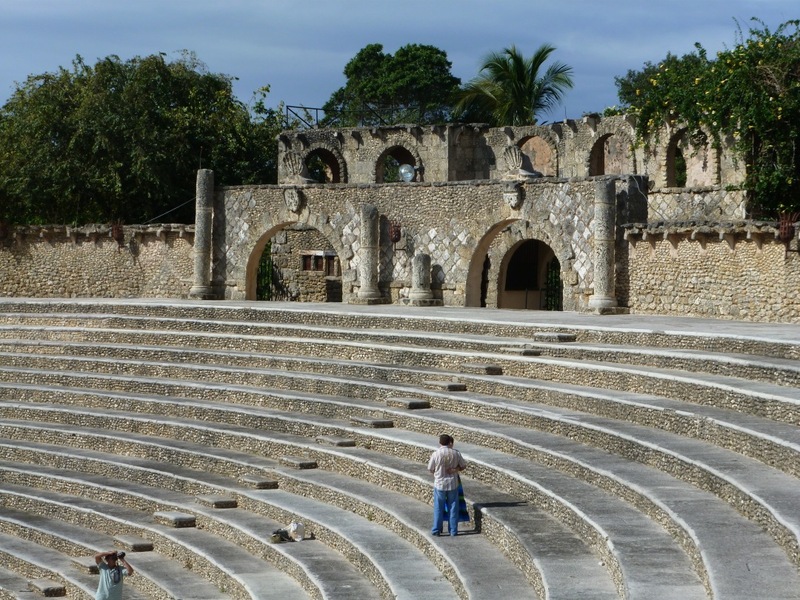 And what 16th century Mediterranean village would be complete without a 5,000-seat Roman style amphitheatre? Frank Sinatra inaugurated it in 1982. More recent entertainers have included Julio Iglesias and Sting. 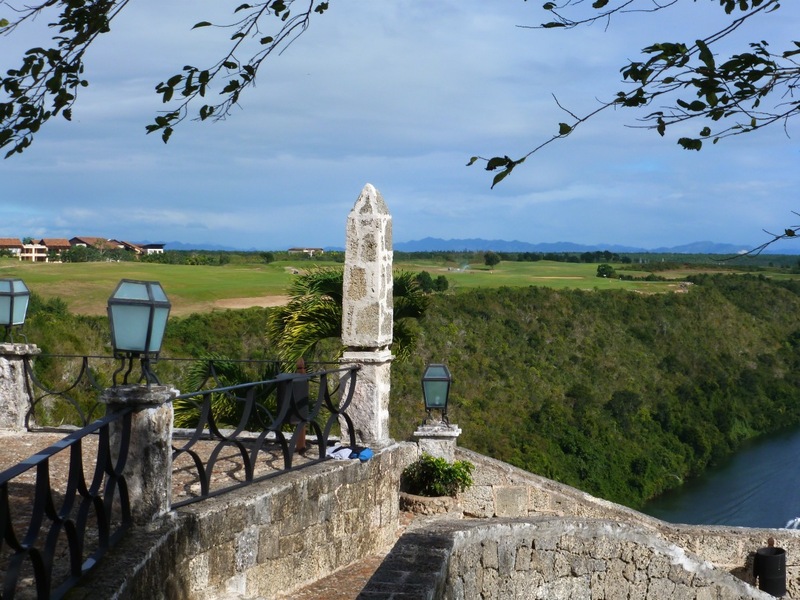 I had a wander around Altos de Chavon after tackling Lagos (Lakes), the newest nine at Dye Fore. Once again Mr. Dye has created a totally different playing experience. It’s flatter than and less dramatic than the Chavon and Marina nines but you need to bring your best aim to this game in order to avoid three lakes and some strategically placed fairway bunkers. 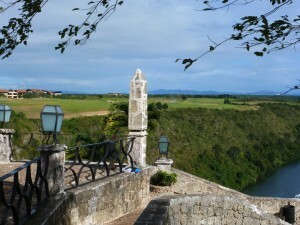 From La Piazzetta restaurant’s patio, (I recommend the lasagna and lamb chops), there’s a marvelous view of the Chavon opening holes and the river far below. I had a peek into the Archaeological Regional Museum and the Church of St. Stanislaus, consecrated by Pope John Paul II in 1979. It’s a popular venue for weddings. 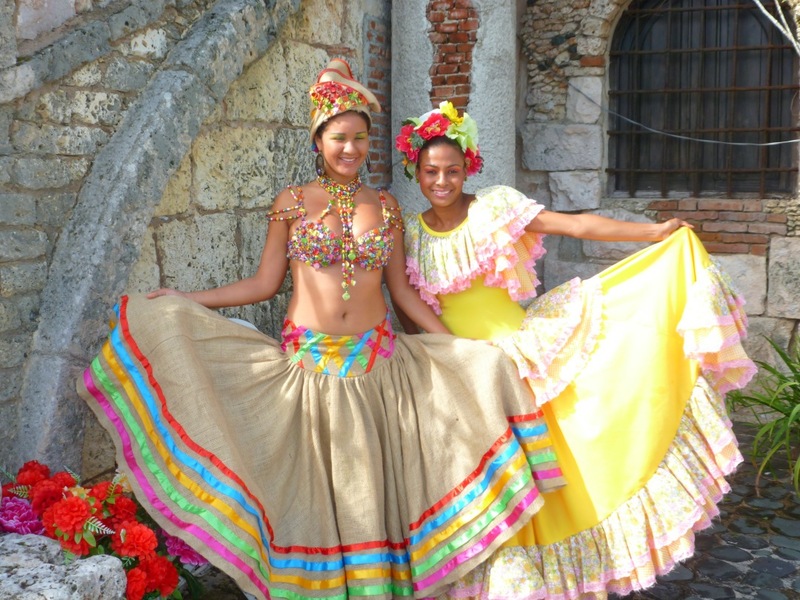 Casa de Campo offers so many attractions and activities it should have its own zip code. I can only wonder what will they dream up next?